Welcome to Davenham Rec Bowling Club. We hope you enjoy visiting our site. Please use the feedback section to let us know what you think and how the site might be improved. 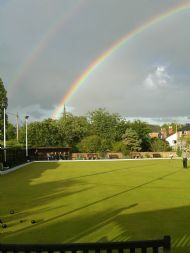 Visitors & new members (both existing players and complete beginners) are always welcome at our Laburnum Road green. Please use the "Feedback" page to contact us or to enquire about membership which currently is £30 per year for adults, and £5 for juniors. New members are also required to pay a one-off registration fee of £15 to The British Crown - Green Bowling Association. Below is a list showing the starting date for each league we have teams entered into. Every Thursday throughout the season £2 for non members 1:45pm start. Bowls available for free loan.